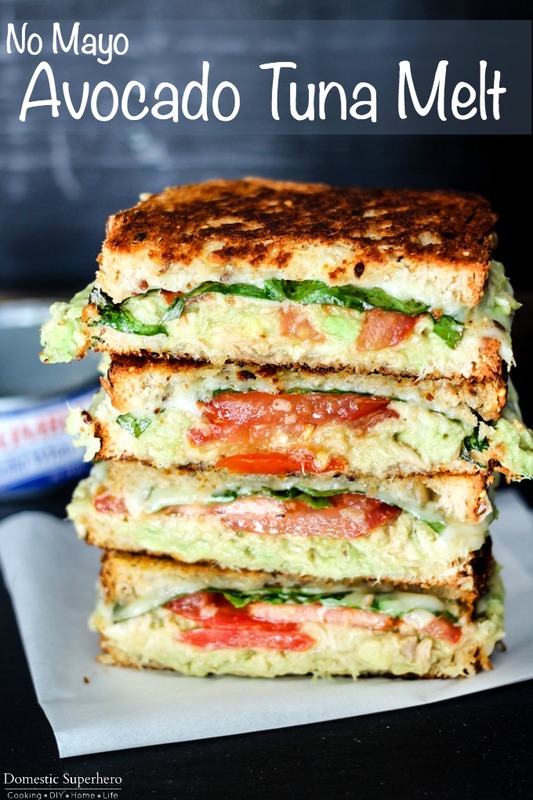 No Mayo Avocado Tuna Melt is the perfect lunch to get out of the midweek slump! Filled with solid white albacore tuna and veggies, it’s delicious and easy! I dislike the feeling of the heavy mayo-full tuna. 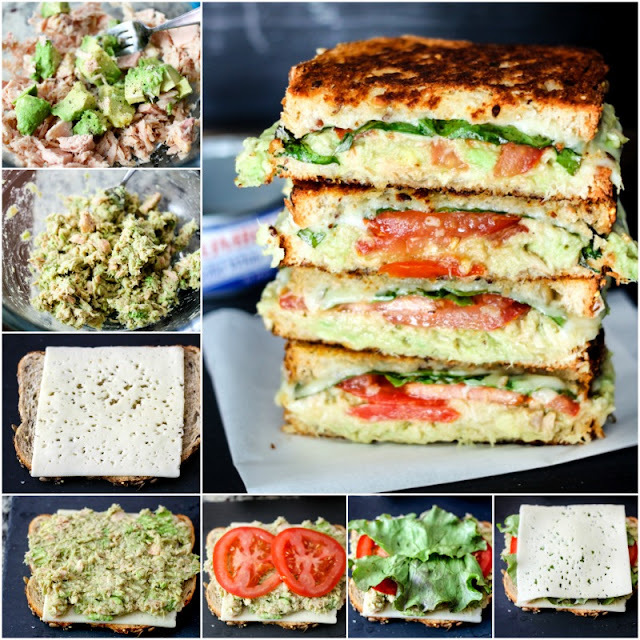 This is why I have been opting for these delicious No Mayo Avocado Tuna Melts lately! They are full of fresh vegetables, melted cheese, and Solid White Albacore Tuna. Get all your ingredients together, and start to whip up the solid white albacore and avocado mixture. It’s simple: add the tuna and 1/2 an avocado to a bowl with a pinch of salt and pepper. Then just mix it until it’s all combined. No Mayo Avocado Tuna Melt is the perfect lunch to get out of the midweek slump! Filled with solid white albacore tuna and veggies, it's delicious and easy! In a medium bowl, add tuna, avocado, salt, and pepper; mix using a fork until completely combined. Make your sandwiches: Place a slice of bread on the bottom and then layer cheese, tuna mixture, tomatoes, lettuce, and another slice of cheese. Top with remaining bread slices. Spread butter on outside slices of bread. Using a large skillet heated over medium heat; add sandwiches (butter side down), and cook for 3-4 minutes, or until bread is lightly browned. Flip and cook for 2-3 minutes or until bread is browned (usually the 2nd side takes a shorter amount of time to cook). Remove from skillet and let rest for 2-3 minutes. 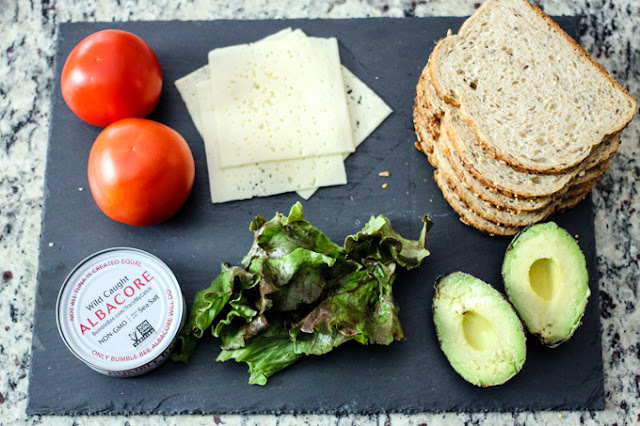 Using a serrated knife, slice the sandwiches down the middle and serve immediately.